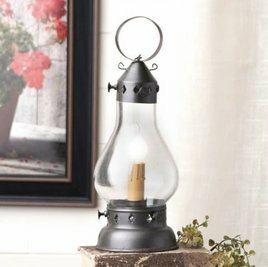 Add a small accent light with this beautiful Hurricane Lantern. This Small Hurricane Lantern has an onion shaped glove and is wired for ease use. Finger screws release the glove for cleaning and decorating. In-store and ready to ship! 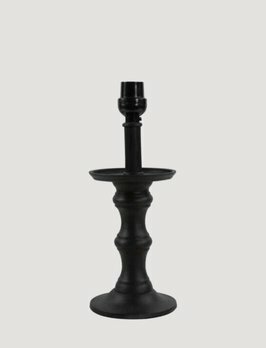 Here is a simple yet beautiful touch to your home, the 12" black Candlestick Lamp. Fitting perfectly with Country or Farmhouse decor the Candlestick Lamp is a distressed base measures 12" H x 4.25" D for use with 60 watt light bulb.